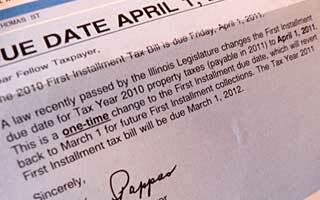 Time to pay property taxes  motivation enough to learn how your neighbors have lowered their tax bills. Members Greg Nagel and Aaron Bilton lend their professional expertise to a tax discussion at Monday's East Village Association member meeting. Nagel has developed apartment and condo buildings; Bilton, a former assistant state's attorney, has been appointed chief of staff to Board of Review Commissioner Michael Carbonargi. But if you've been successful appealing your property taxes you'll want to contribute as well. Since my days as a real-estate writer I've been filing an appeal like clockwork every three years as my home is reassessed. The session will cover the basics of how Chicago handles property taxes and the routes to appeal through the Cook County Assessor and Board of Review. Both agencies made do-it-yourself appeals easier, providing online research tools and free neighborhood filing sessions. But there are a few tricks to checking both the accuracy of county records for your property and the property values of your neighbors. We'll also try to make sense of the fictionally low dollar figures on assessment notices and the upward creep of the equalization factor, which the state uses to turn them into something approaching market value. The meeting starts at 7 p.m in the Happy Village, 1059 N. Wolcott. Also on the agenda is the annual officer election and business introductions by Jessica Solares of Bucktown Music, 1890 N. Milwaukee Ave. The previously scheduled Rob Levitt of Butcher & Larder (1026 N. Milwaukee Ave.) is not available.